Hendy Group has installed solar panels in its van dealership in Chandlers Ford and is considering implementing them at its other branches. 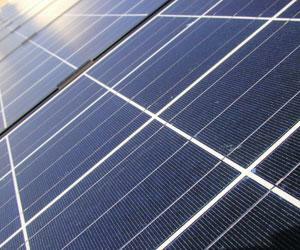 The company runs car dealerships across the south of England and its Chandlers Ford outlet has recently had 200 solar panels fitted on its roof. They were added free of charge by Renewable Energy Investments (REI), who will now offer discounted green energy back to the dealership, AMOnline reported. With ever-increasing emphasis being placed on businesses to ensure they are environmentally friendly, more car dealerships might be considering adding solar panels to their premises. For those that do, it is worth ensuring they are covered as part of a combined motor trade insurance policy because thieves can target the expensive technology. Furthermore, for managers renting their premises, it is worth considering tenants' improvement cover as part of a wider policy; this could offer additional protection for any sizable improvements made to a trading site. The news from Hendy Group is just one of a number of systems being rolled-out nationwide by REI under its new Solar Power Purchase Scheme. John Hendy, systems and resources director at the Hendy Group, said: "As a company we have been keen to adopt innovative technology over the years. We are also focused on being environmentally friendly so the time seemed right to take advantage of REI's solar power purchase scheme. "It is still early days but we are very pleased and are looking to introduce it at our other sites."